If you’re self-publishing, Microsoft Word is good enough. Whether you’re publishing a print-on-demand paperback through CreateSpace or an e-book through Kindle Direct Publishing, for example, it’s possible to create a well-formatted book using Microsoft Word. Of course, it’s also possible to create a document that looks rather unprofessional, but that’s possible with any software. Word can produce excellent results, but it’s necessary to first learn how to make Word do this. They may not be aware of all the little tricks that are possible in Word (like kerning and tracking, or how to prevent Word from compressing your images). Once somebody prefers different software over Word, there is no longer any incentive to master Word. So why should people who prefer other software become and remain up-to-date on all the little tricks that Word can do? They may not be aware that each version of Microsoft Word has become more compatible with Kindle and CreateSpace, for example (partly from improvements in Word and partly from improvements from the publishing platforms). When Word 2007 first came out, .docx files led to formatting issues compared to .doc, but now .docx files from 2010 or 2013 in many cases work better than .doc files. Those who learned to prefer .doc in the early days may have not continued to test .docx over the years. They may have an ulterior motive. Somebody who earns a living formatting books might want to advertise that Word is unsatisfactory. Some people may have a financial interest in another software program. Authors or publishers who don’t use Word may wish to sell the brand that their books are better. A professional looking book does have better formatting, but all that matters is how it looks to the customer, not the process by which it was created. The truth is that if you master Word formatting, you can produce excellent formatting with it. A couple of features are more convenient in other software programs, like creating different headers or page numbers in different sections. There is a straightforward way to do this in Word, but it just doesn’t seem straightforward until you learn how to do it. On the other hand, sometimes other tools that should be easy to use in other software programs don’t seem intuitive. There are a couple of subtle improvements that can be made by using other software programs. For example, you can gain better control of images and you can work with em’s or percentages instead of pts in an e-book by working with HTML. If these subtleties are important to you, it doesn’t mean that you must work with different software. For example, you can save a Word file as a filtered webpage and then make these subtle improvements directly. Similarly, if you need a PDF file for your print-on-demand paperback, you can find a Word to PDF converter and print to PDF (using the convenient Save As PDF option leads to images with less than 200 DPI—but this is just one of several steps needed to avoid images with less than 300 DPI). Microsoft Word doesn’t make formatting foolproof. For example, if you use tabs, your e-book could be a disaster (but if you simply learn how to use First Line Indent instead, and research other ways to produce good formatting—or avoid poor formatting—this won’t be a problem). But it does provide a convenient method of formatting self-published books, and it can lead to good formatting for those who learn how to use it well. There are good alternatives to Word for those who prefer something else. For print publishing, Adobe InDesign is considered by most to be top of the line. It’s not nearly as intuitive as Microsoft Word, but if you take the time to learn it, this will only be an issue for your first book. Serif Page Plus and Scribus are two other publishing software programs. Open Office is a free open-source alternative to Word. There are a variety of alternatives for e-books, such as Jutoh, Atlantis, Calibre, and Sigil. Many of the alternatives are actually begun in Word using the styles and then improved with other software programs, even by some experts who are in the habit of faulting Word. Up until this post, I didn’t know there was anything besides Word. Still going to stick with it even though the spelling and grammar checker despises me. I catch a few errors with it, but you sure can’t rely on it. 🙂 You reminded me of another point. Once you learn how to make Word behave, that becomes an advantage over leraning something new. Definitely. Though that can be said for any system. It’s funny how we tend to pick our one and think it’s superior. Wonder why more people don’t see that. Actually, I’ve used the MS Word saving-option via Open Office (Apache software, freeware) for my first 2 ebooks with great success. This is so helpful. I didn’t realize there was an alternative to Word. My first novel is in Word. So, to format it for ebook publishing should I keep it as a Word Doc or move it to something like Open Office? For an ebook, I would keep it in Word and use the styles for all paragraph formatting. That’s good. How do you use the styles to format? Thank you so much! Do you have any advice on formatting for paperback? My best advice is to find some trade paperbacks (not mass market) similar to your book, i.e. browse your home bookshelf, bookstores, the library, and even Look Insides at Amazon for trade paperback similar to yours. Study the front matter, margins, layout, design, indent sizes, space between lines, font styles, font sizes, etc. These models will give you ideas for creating your book, and you’ll see the variety of design choices possible. Highlight a few pages of your book and play with font style, font size, and linespacing (which doesn’t have to be single, but could be multiple and set to 1.1, 1.15, o 1.2, for example). Experiment with different combinations, print out a few combinations that you like, compare them to your models, make measurements to see how close you are. The biggest formatting challenge is with headers and footers. I have a free tutorial for this, too: https://chrismcmullen.wordpress.com/2014/07/04/page-numbers-in-microsoft-word-2010/ (I have a lot of other free tutorials on my blog. Click the pages called Formatting, Microsoft Word Tutorials, or Publishing, for example.) Good luck with your book. Thank you very much. My only problem is I really can’t tell what I’m looking at. My math skills are rather poor and I am not as computer savvy as I should be for someone my age. Is a ruler an accurate tool of measurement with a paperback? I will check out the tutorials. I am looking at the ebook formatting one right now. Thank you for sharing those! Yes, you can use a ruler. There is a standard way of making measurements, but it doesn’t really matter what you measure, so long as you’re consistent. When you first start looking at model books, you may not be sure what to look for, but the more you browse through them, the more you develop a feel for how it looks, and eventually your eye will be able to discern whether it looks right or not, even if you’re not sure what the problem is. The starting point is to note which pages have headers, what page headers consist of, which pages don’t have numbers, which pages have Roman numerals, how the front matter is organized, which sections or chapters almost never begin on even pages, what information appears on page headers, how different pages are designed, and things like these. For example, the first time you make a copyright page or table of contents, look at your models to get ideas to help decide how to create these pages. Wow, that’s a good starting point. So, basically it’s a game of trial and error. This should be fun! Wow! It wounds like you’ve either drunk the Kool-Aid, or own huge block of stock in Microsoft. The fact remains that Word is the most unforgiving word processing program on the market, and there are better choices. In point of absolute fact, it is accurate to say that MS Word gained market dominance, not because it was better, but because Bill Gates & co required manufacturers to give it away on new personal computers. Interestingly, the title of your article seems to hedge, just a bit. 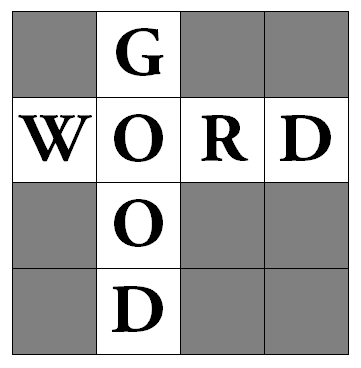 “Word is good enough” sort of damns it with faint praise, don’t you think? WordPerfect, which I’ve used for some three decades, is still vastly superior in so many ways. Not to mention the fact that it has one critical feature that Word has always lacked–a feature that gives you total control over output. That feature is known as “reveal codes.” Click Alt/F3 on any version of Word Perfect, and you will see every, and I do mean every underlying code that affects the output of your document. MS Word has never had a feature that comes close to that. I used WordPerfect exclusively, whether I’m writing for my trad publisher, or whether I intend to self-publish. When required, I can easily do a “save as” and save my document in MS Word format. But, I never, ever, use Word to create a document. I have no stock in Word. Word is highly popular among authors (not all authors, of course). I have used Word Perfect in the past. I actually go into the Advanced options in Word to use some of Word Perfect’s benefits (such as justifying the way that Word Perfect does). Actually, Word does have a Reveal Codes button on the Home ribbon, which comes in very handy for paperback formatting. For e-book formatting, it’s better to save as a filtered webpage, which shows all the formatting relevant for e-books, as it shows the styles clearly. Word Perfect is a good alternative for print formatting. Unfortunately, the “reveal codes” function in Word does not reveal everything. When it doesn’t, I find saving as a filtered webpage and viewing that to be quite helpful. I sometimes discover, for example, that I need to clear the formatting of a paragraph, or discover a stray character or mark that wasn’t obvious on the screen. It’s also easier to find things like non-breaking spaces this way. Once I find an issue in the filtered webpage, it’s easy to revise the Word file. The Reveal Codes does show most of what I need when formatting for paperbacks, which mostly is finding paragraph marks and section breaks, so I ordinarily don’t need to use the filtered webpage option except for perfecting subtle features of e-books. Open office is terrible when put beside Word. I used it for years and had to break down and buy Word because it just wasn’t good enough to make my book look professional. I’ve never used another program, but Word does everything just fine, and the new version of Word enables you to convert it to a PDF just like how you would save. Unfortunately, the only Open Office users I know are strong advocates for it, so I haven’t developed a balanced perspective for it. I’m curious which features of Open Office were issues. I started using PressBooks to format my EBooks. Don’t know if you have heard of it or not. Just thought I would share. Word though has worked great for me in the past with some of the tricks you taught me. It’s a really good site. You can do a lot with it. The best thing is you can do it yourself or pay to have them do it. Lots of options. Helpful and economical information. Thanks for sharing. More reblogs from famed supporter of authors and readers, Chris the Storyreading Ape. 🙂 Thank you. Wow, excellent overview. Have to bookmark this for future use. I do write my stories in Word. Someone told me that I should not write my book in Word because Word cannot handle more than a certain number of words per document. Is that true? I typed a 550 page physics textbook in Word, on 8.5 x 11 pages, with hundreds of footnotes and equations, and over 100 images. The book is very richly formatted. This shows that Word actually can handle a lot. That said, there have been a couple of times when a much simpler Word file became corrupt. It happens. I’ve dealt with hundreds of Word files; a few have had file issues. But I’ve had occasional file issues with Adobe, too. Nothing is foolproof. I’ve learned to save the richest formatting for last. This lets you get the content saved in a safe place before improving the odds of file problems. Don’t add headers or footers until your text is complete, and that will minimize file issues. Only insert images in line with text until the file is otherwise complete. Anything with rich formatting that can wait until later, it’s best to save for later. Change the file extension when you go to introduce page numbers, headers, etc., just in case. Fantastic tips. Thank you for being so generous with your time (to comment) and your knowledge! This was so helpful. I’m hoping to learn how to format so I won’t have to pay big bucks to have it done. I used to do page layout for a paper, so I don’t see why I can’t learn this.